We hand-curated a list of the biggest companies to work for headquartered in and around New Jersey using data on salaries, company financial health, and employee diversity. Discover how Conduent's technology-led approach to business process services helps organizations improve interactions with citizens, patients, customers and employees. The Great Atlantic & Pacific Tea Company, better known as A&P, was an American chain of grocery stores that ceased supermarket operations in November 2015, after 156 years in business. From 1915 through 1975, A&P was the largest grocery retailer in the United States (and until 1965, the largest U.S. retailer of any kind). A&P was considered an American icon that, according to The Wall Street Journal, "was as well known as McDonald's or Google is today", and was "the Walmart before Walmart". Known for innovation, A&P and the supermarkets that followed its lead significantly improved nutritional habits by making available a vast assortment of food products at much lower costs. Until 1982, A&P also was a large food manufacturer. In his 1952 book, American Capitalism, John Kenneth Galbraith cited A&P's manufacturing strategy as a classic example of countervailing power that was a welcome alternative to state price controls. Bayada Home Health Care is an international, multi-specialty provider of home health care services. Farm Credit is a nationwide network of 73 customer-owned lending institutions that all share a critical mission which is to support rural communities and agriculture with reliable, consistent credit, and financial services. These privately owned institutions are cooperatively owned by farmers, ranchers, farmer-owned cooperatives, and other agribusiness and rural utilities in rural America. Farm Credit's dynamic network of independent institutions serve all 50 states and Puerto Rico. Panasonic Corporation is a worldwide leader in the development of diverse electronics technologies and solutions for customers in the consumer electronics. Here you will learn about the basic approach of human resources and employee training and development. 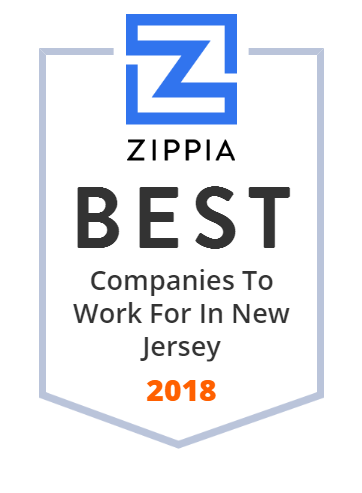 Founded in 1999, On time Staffing is a privately-held national Onsite workforce management and temporary staffing services company headquartered in Cherry Hill, NJ. They are laser-focused on Light Industrial staffing. They specialize in providing the highest quality Onsite staffing, exclusively in the Light Industrial segment. Bel helps make global connectivity a reality by manufacturing electronic components for the computer, networking, telecommunications, transportation and defense/aerospace industries. Inteplast Group, Ltd. designs and manufactures plastic products. The company offers biaxially oriented polypropylene films, stretch films, and plastic concentrates and compounds; plastic bags and products, including can liners, food service bags, gloves and supplies, retail and grocery bags, and janitorial and industrial supplies; and board and heavy film substrates, including corrugated plastic sheets, free foam and celuka PVC sheets, cross-laminated films and bags, and the TUF board line of synthetic woods. Its products are used for packaging, label, industrial/tape, stationery, and other applications, as well as for sheet and profile extrusions, cast processes, blown film, blow molding, and injection molding for the thermoplastics. The company primarily serves appliances, housewares, household electronics, automotive parts, toys and sports, institutional, commercial, industrial, retail, hotels/motels, government, food service, highway, hospitals, building maintenance, healthcare, janitorial, drum liner, and other markets. It offers its products through distribution partners. The company was founded in 1991 and is based in Livingston, New Jersey. It has manufacturing facilities in Texas, Massachusetts, Canada, and Asia. The Briad Group are based in Livingston, New Jersey with over 100 franchise locations in the United State under the brands TGI Friday's, Wendy's, Marriott, and Hilton. American Water is an American public utility company operating in the United States and Canada. It was founded in 1886 as the American Water Works & Guarantee Company. In 1914, American Water Works and Guarantee Company became American Water Works and Electric Company. In 1947 it was reorganized as American Water Works Company, Inc. The company was a subsidiary of the German-based RWE Group from 2001 to 2008, but the company was divested on April 23, 2008 in an IPO on the NYSE. JFK Health System, Inc. provides health care services to residents in the Central New Jersey region. It operates an acute care hospital, inpatient and outpatient rehabilitation centers, and nursing and convalescent facilities; and offers specialized treatment programs. The company provides services in the areas of cardiac, emergency care, neuroscience, obstetrics, oncology, pediatrics, rehabilitation, surgery, and weight loss surgery. It also offers other services ranging from medical and dental services for the uninsured and underinsured to health education and awareness programs, support groups, emergency preparedness training, and community outreach. The company was formerly known as Solaris Health System, Inc. and changed its name to JFK Health System, Inc. in October 2011. The company was founded in 1997 and is based in Edison, New Jersey. Borealis AG is Europe's second and world`s eighth largest producer of polyethylene and polypropylene and is headquartered in Vienna, Austria. Park Ave Motors serves Bergen County. If you're in the market for a pre-owned vehicle, explore our incredible inventory. Lion Corporation (ライオン株式会社, Raion Kabushiki Gaisha) is a Japanese manufacturer of detergent, soap, medications, and oral hygiene products and other toiletries. The company also has a chemical engineering research division which works on developing new products. Cooper University Health Care is the leading academic health system in South Jersey. Cooper includes South Jersey's only Level I trauma center (Cooper University Hospital), a leading cancer center (MD Anderson Cancer Center at Cooper), the only Level II pediatric trauma center in the Delaware Valley (Children's Regional Hospital). Revel Resorts is a new destination for uncommon recreation. The Los Angeles County luxury mountain resort features more than 300 rooms and suites with sweeping mountain views. Garden Homes is an American real estate development company, founded in 1954. Garden Homes owns and manages over 50,000 apartments and over 25 million square feet of retail, office and hotel space. Subsidiaries include Garden Commercial Properties and Skyline Developers. The Quality and Patient Safety Program of JFK Medical Center is founded on evidence based best practices, teamwork, and the idea that they are always striving to provide the best care in the safest environment. JFK For Life changed many peoples lives. With a team approach, the Center offered people the latest in minimally invasive weight loss surgery. DialAmerica is a telemarketing company. It originated with the establishment of the first-ever call center by the Life Circulation Company in 1957. Catapult Learning partners with K-12 schools and districts to support individual student needs, improve academic gains, and build teacher and principal capacity. With a relentless focus on improving academic outcomes for all students, they offer a comprehensive suite of evidence-based solutions, including intervention services and professional development solutions. Checkpoint Systems is an American provider for loss prevention and merchandise visibility. Checkpoint allows retailers to achieve accurate real-time inventory, accelerate the replenishment cycle, prevent out-of-stocks and reduce theft to improve merchandise availability and the shopper's experience. Checkpoint offers Electronic Article Surveillance (EAS) radio frequency solutions for retail, high-theft and loss-prevention solutions, RFID hardware, software, and labeling capabilities. Collabera Inc is a company headquartered in Basking Ridge, New Jersey that provides professional information technology recruiting, staffing, consulting, and business services to companies worldwide. Newark Board of Education is a comprehensive community public school district that serves the entire city of Newark in Essex County, New Jersey, United States. Fatburger Inc. is an American fast casual restaurant chain. Its tagline is The Last Great Hamburger Stand. While it is a fast food restaurant, the food is cooked and made to order. Some Fatburger restaurants have a liquor license, as well as Fat Bars. Its franchise headquarters are in Beverly Hills, California. In addition to the United States, the chain operates in 19 other countries. The Fatburger menu is centered primarily on hamburgers, in which it offers patties of varying size, small to large, and in varying number patties, along with add-ons such as cheese, bacon and eggs. The Valley Hospital is a 451-bed, acute-care, not-for-profit hospital in Ridgewood, Bergen County, New Jersey. Revel AC, Inc. operates beach and night clubs. It also provides live entertainment events. The company was founded in 2011 and is based in Atlantic City, New Jersey. As of April 7, 2015, Revel AC, Inc. operates as a subsidiary of Polo North Country Club Inc.
Indel, Inc. designs and manufactures induction melting systems for the metals industry worldwide. It offers melting, thermal processing, and production systems for the metals and materials industries. The company also provides metal products and components, metal fabrication and fabricated products, volumetric measuring equipment, and metals distribution services; magnetic stampings, cores, and laminations; and AN/FO mixing, blending, and packaging equipments. In addition, it offers electrical components and systems engineering products, such as power supplies for high voltage, semiconductor, and corona treatment applications; capacitors; high voltage power systems; illuminated display and control panels for aircraft, submarine, and defense applications; and electric sensing and safety devices. Further, the company provides electronics products, such as temperature and electronic controls, optical scanning equipment and software, electronic coin mechanisms/scanners, payphone electronics, check fraud detection/prevention software, and graphic display systems; engineered products, which include steam generators, shooting sports accessories, precision plate saws, and ultrasonic welding equipment; network communications products, such as fiber-optic data communication products, route vending management systems, remote monitoring devices/systems, and voice and data switching systems; and plastic products, which include injection blow molding machinery and structural foam funeral products. It was formerly known as Inductotherm Industries, Inc. The company was founded in 1953 and is based in Rancocas, New Jersey. Indel, Inc. operates as a subsidiary of Rowan Technologies Inc.
Gateway Group One, Inc. provides security and frontline services in the United States. It offers security assessment, disaster recovery planning, integrated security, incident reporting, dispatch, and HR management services; and security officer registration act (SORA) certified security officers and armed guards, and emergency security officer response teams. The company also provides frontline services for high-traffic public and semi-public venues, including customer service experts, ushers/concierge staff, baggage handlers, sky caps, taxi dispatchers, tour guides, and special events and valet services; and parking garage management services. In addition, it offers career training and certifications, such as SORA certification, frontline services training and certification, and airport operations training. The company serves multiple tenant office buildings, corporations, urban campuses, entertainment venues, hospitals, pharmaceutical facilities, real estate, stadiums and events, and transportation hubs. Gateway Group One, Inc. was formerly known as Gateway Security, Inc. and changed its name to Gateway Group One, Inc. in November 2007. The company was founded in 1979 and is based in Newark, New Jersey.